Following on from 2018’s exhilarating draw, Varsity 2019 did not disappoint. Once again, it was a close, well-fought match that came down to the last few relays. First up, in the women’s 200m IM, freshers Ellie O’Keeffe and Eve Hull finished first and fourth respectively, with Ellie smashing her PB to comfortably win. The men’s 200m IM was a similar story with an unbelievable swim from fresher Theo Cannon smashing the uni record in a time of 2:04.73 to get the victory, and Alex Lezard just missing out on third place by an agonising 0.29s. Next up was backstroke. In the women’s event, Anna Kirk and Clarra Starrsjo finished second and fourth with Anna Kirk missing out on the win by just 0.32s. In the men’s event a valiant swim by Segev Gonen Cohen saw him just pipped into third. Alex Lezard also swam. 200m freestyle was a good event for Cambridge, with a first and third finish through Katrin Heider and Meghan Mulhern in the women’s event. Once again, Cambridge just lost a close finish as Meghan was beaten to second place by 0.47s. 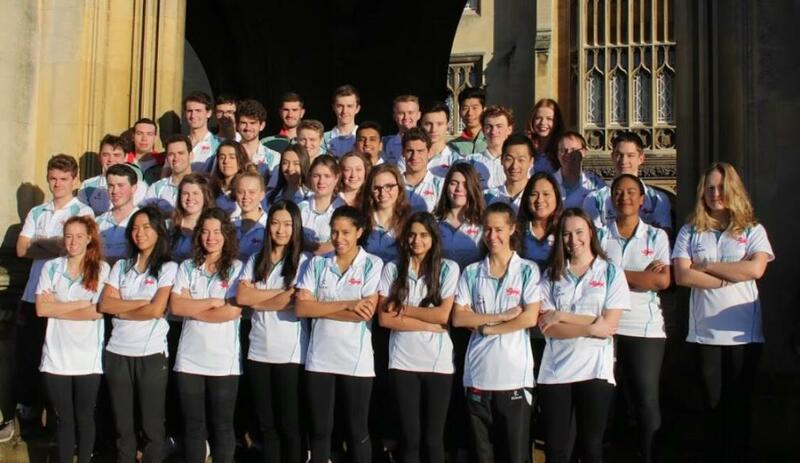 Cambridge’s men had not dropped points in a freestyle events for the last 2 years, and this trend continued as captain Henry Choong and Marcin Chrapek bossed the Oxford swimmers to comfortably get the first light blue one-two of the day. 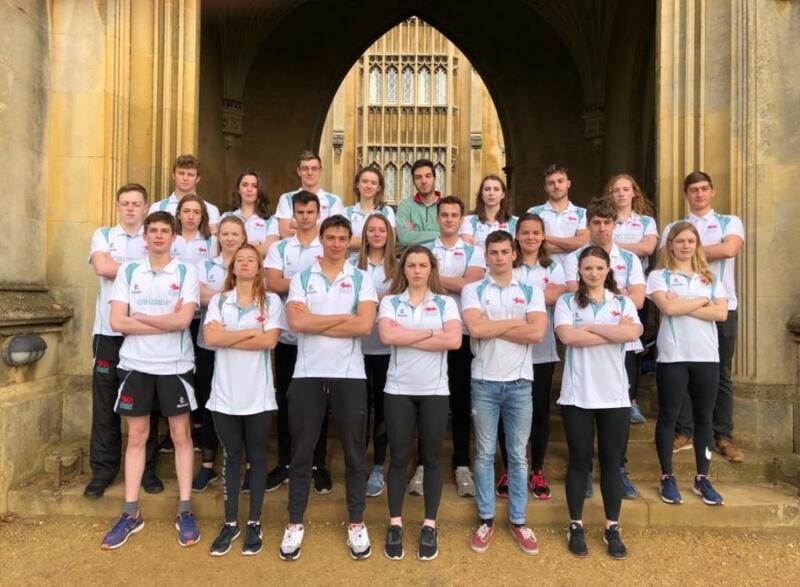 In the 100m butterfly, Ellie O’Keeffe and Amy Felgate finished second and third, and Hugo Bellamy and Theo Cannon finished first-third to gain more points over Oxford. Hugo in particular deserves credit here as he had been out injured for 4 months and started swimming again just days before Varsity. Heading into the first mini interval, Cambridge were winning by a small 2 points margin. After some much needed rest in the 10 minute interval, the women got things underway again with 400m freestyle. It was a three-way battle between Meghan Mulhern and the Oxford swimmers all the way, with just 1.11s separating their finishing times. In the end, Meghan secured second place and Kate Lewis finished fourth. 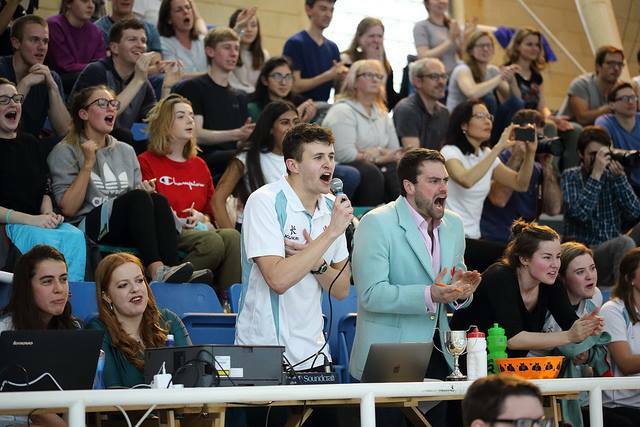 A cycling injury to lightning Cambridge fresher Jacques Bonsell hindered Cambridge’s men’s 400m attempts, as Oxford finally gained some freestyle points. Marcin Chrapek came first in another masterfully controlled race by him, and Joe Anderson came a close fourth after going out a bit too hard at the start. 100m breastoke next. Juliet Merelie and Charlotte Rowlands came second and third, and then Lewis Waters pulled out a huge swim to break announcer Dom Holloway’s university record with a time of 1:03.37. Sadly, Oxford had one of the best breaststrokers in the country so this was only enough for second place. Segev Gonen Cohen again performed well, but finished fourth in a stacked race. 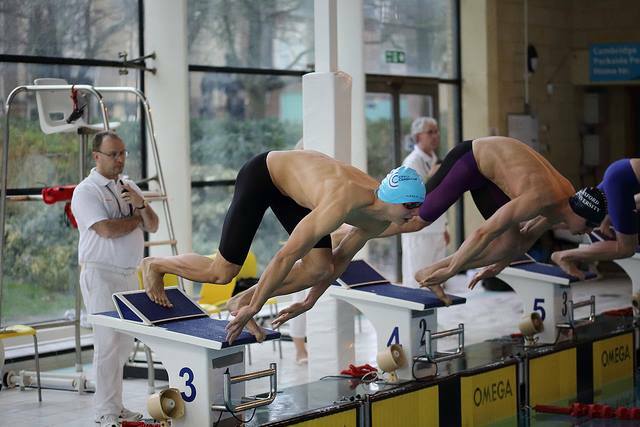 The 100m freestyle finished off the individual racing. The women’s race dominated by Katrin Heider in 58.43 with women’s captain Georgia Crawford close behind in 3rd, also dipping under the 1 minute mark in a 59.84. 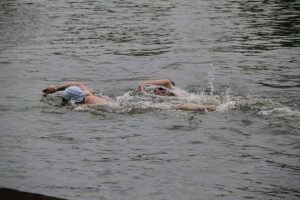 The men’s race was the closest race of the afternoon, with men’s captain Henry Choong pulling out a huge swim to win by 0.01 over Oxford, in a university record style of 51.10. Teammate Finn Harman also gave a stellar perfomance to grab 3rd in a blistering 51.23. 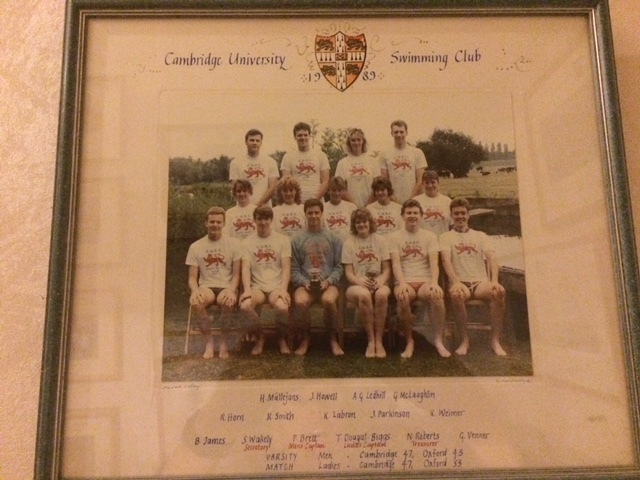 With just the four relays to go, worth 7 points for a win and 3 points for coming second, Cambridge were winning by 2 points, and so needed to win two relays to clinch the overall win. 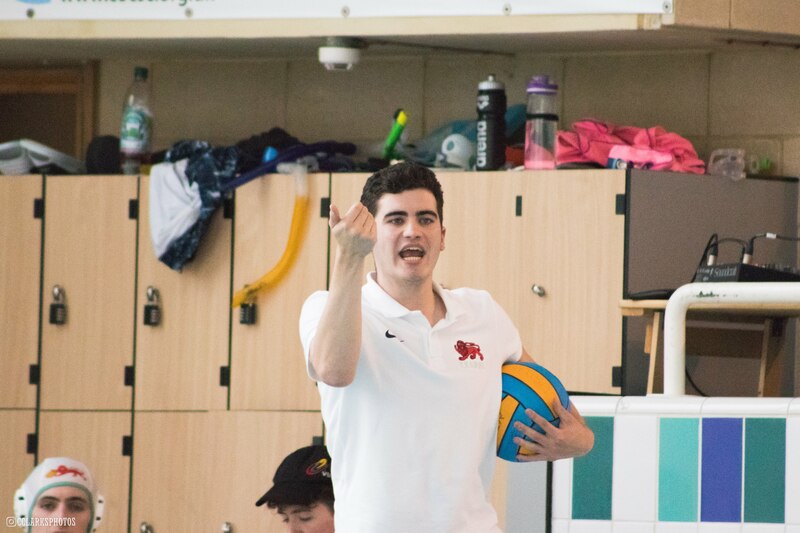 The men’s and women’s medley teams both lost but not without valiant battle, including the first appearance of the anchor Georgios Nikolakoudis to bring home the men. Onto the freestyle relays with Cambridge now needing to win them both. 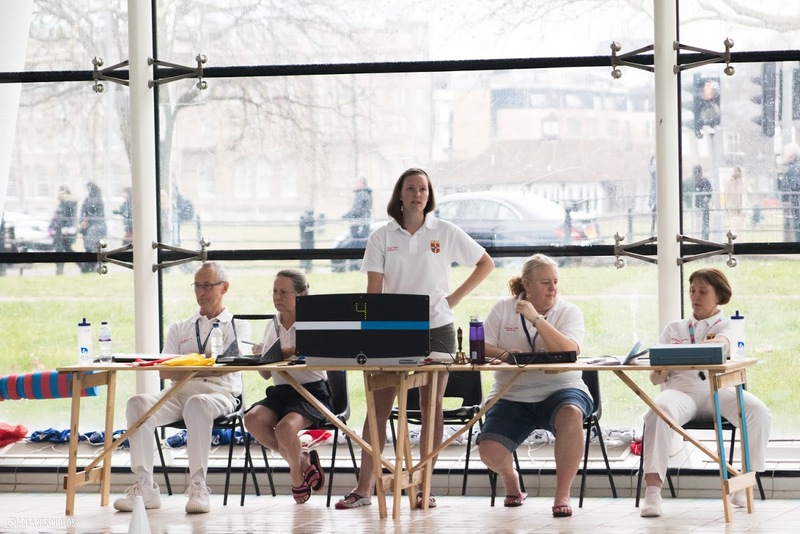 In a super close race, the Cambridge women’s quartet just lost to Oxford’s team by 0.5 seconds. Oxford had won overall, but in the last eventthe men’s team of Henry Choong, Finn Harman, Theo Cannon and Marcin Chrapek dominated Oxford by over 6 seconds to take the win, and hand Cambridge the men’s overall win. Overall, a really exciting day and one of the closest Varsities in recent memory. 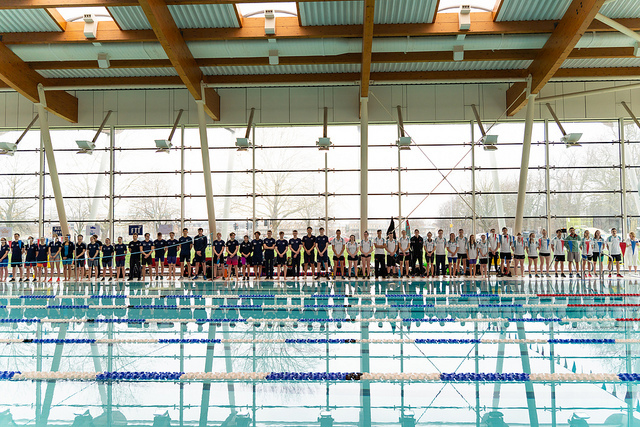 You can find the full results here: http://www.cocsc.org.uk/varsity2019. 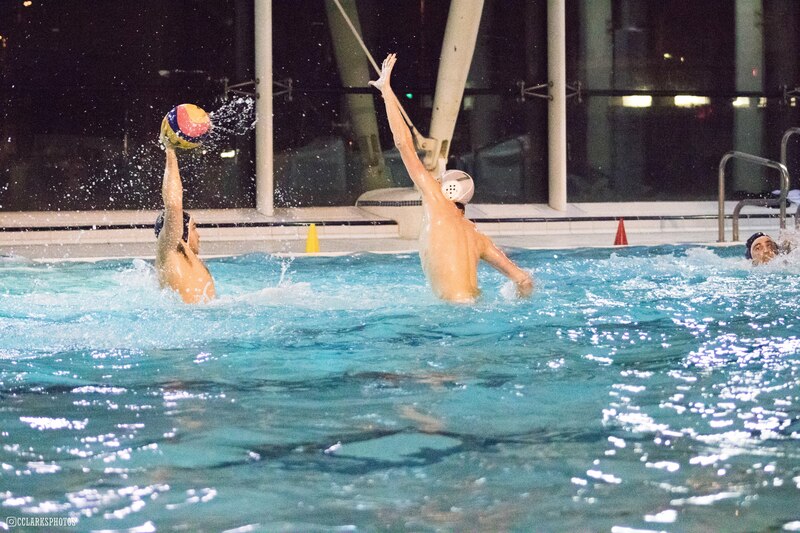 On the 16th of February, we faced off our rivals, Oxf*rd, for an exciting home Varsity at Parkside Pools, Kelsey Kerridge. The day began with the alumni match, featuring players who have graduated, including old captains. There was a great turnout of players for both teams and it was a fun start to the day, with Cambridge getting the win at 8-9. 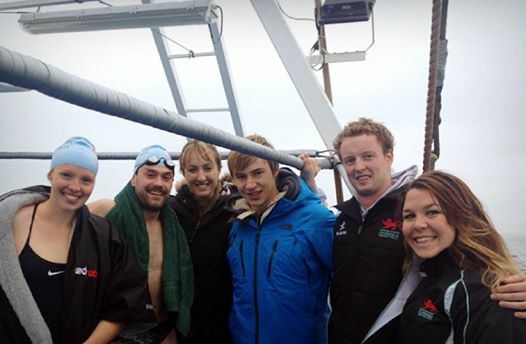 Amazing to see old faces back in the pool, reunited by the sport they love. This was followed by the first ever women’s seconds match, which went off to a flying start to Cambridge, with the score sitting at 6-1 at the end of the third quarter, Oxford tried to bring it back at the end but it finished at 7-4 to Cambridge, making Cambridge the first-ever winners of this match! Amazing job ladies. Then came the Men’s Seconds, which was an exciting match with a strong start from us, but sadly ended in Cambridge’s first loss of the day. Despite some valiant effort (great to see our boys putting their all in until the end), the score alas, was 10-4 to Oxford. 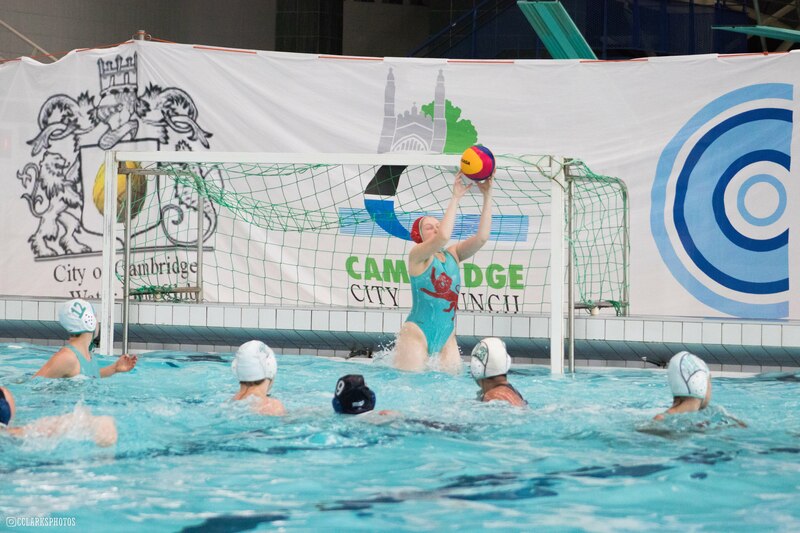 The Women’s Firsts match was a very tightly run competition between the two teams, with no goals at all in the first quarter, and only 2-0 to Cambridge by half time. In the second half of the game, the score levelled out but with only seconds to go, Oxford scored the winner, leaving it 6-5 Oxford. Bad luck, but a great match to watch nonetheless! Lastly, we then witnessed some amazing play by the Cambridge Men’s Firsts. It was an incredible match to watch and round up the day with. After last year’s unlucky loss, they brought home the well-deserved trophy in a game that ended 8-6. Congratulations! 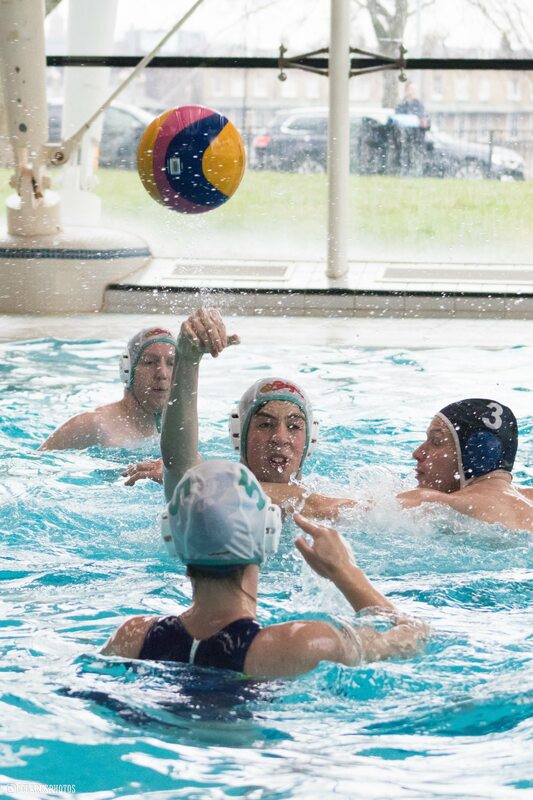 Overall, Water Polo Varsity 2019 was a memorable day, filled with exciting matches and great gameplay. Despite some losses, they were hard-fought and close matches, and we are incredibly proud of our wins and the improvement we made collectively as a team. Thank you for all the spectators who came out to support us, and we hope you enjoyed it as much as we did. It was a good year for us and hopefully next year we can keep winning more! Thank you to all those who helped out with coaching our teams, managing the stands, refereeing, tabling, and making this year’s Varsity possible. Recently, a member of our CUSWPC alumni, Barry James, highlighted an important point: hard-fought victories in the past over our opposition are not displayed as a matter of public record on our website! 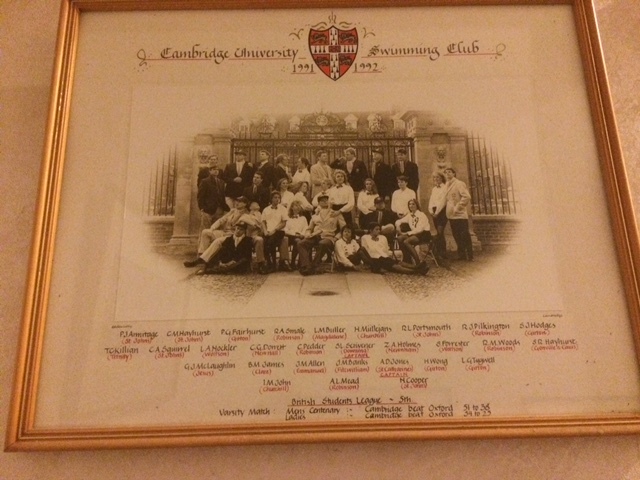 Our club has certainly had a rich and successful history, from our fondly remembered Varsity victories in matches against our main rival Oxford, to how we have established a tight community of alumni as part of the Harold Beale club, to our Tadpoles Club social events. It would definitely be a shame to not commemorate the hard work our predecessors have inputted in their respective teams, and to celebrate their improvements, sporting experiences, successes in meets and matches. 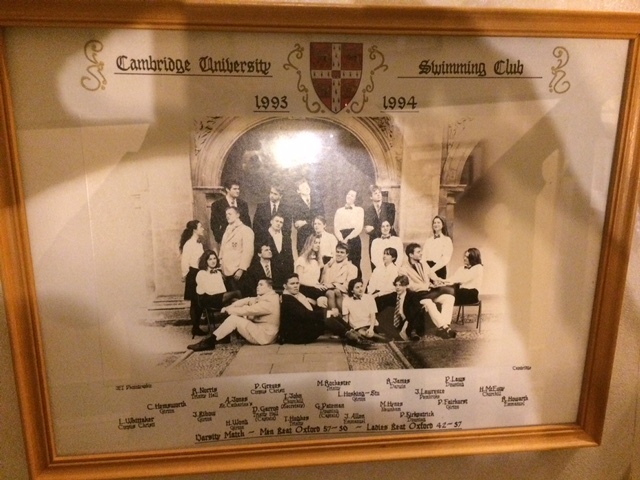 Therefore, we are in the process of organising and uploading some old Varsity programmes (courtesy of Barry James- thank you for digging through and finding these!) to display a public record of past teams and scores. If other alumni members possess any other records from other years, feel free to share them with our publicity officers or Harold Beale Club officer, so we can show them on here. 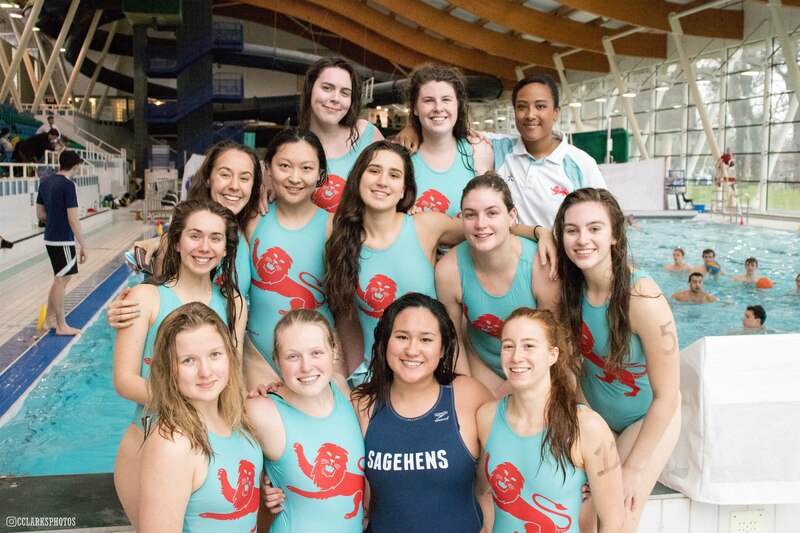 The women’s varsity match of 2017 was truly enjoyable for the Cambridge team, as they retained their trophy after a 10-3 victory. 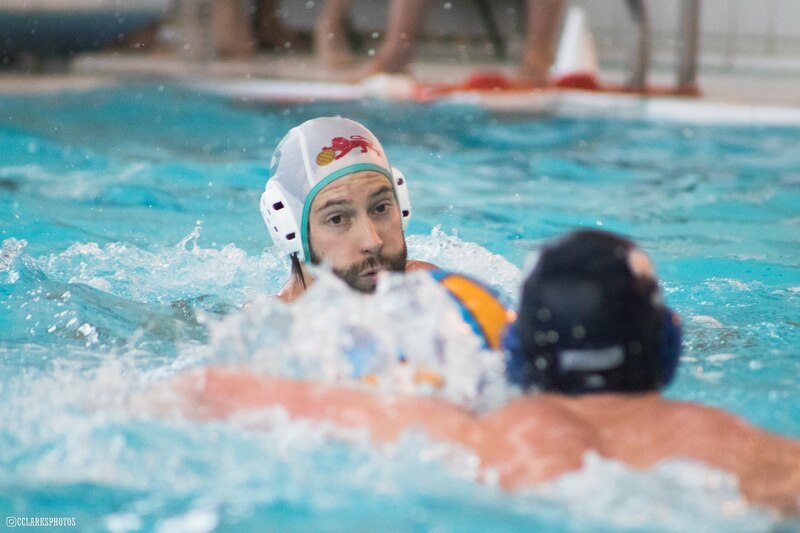 Though while in the pool the match went by in a blur, memories from the stands, the bench and the pool being you the detail of an hour of action! The whistle blows and Claudia Feng, a sprinter, competes in the swim off. Although Oxford get the ball, Cambridge’s defence is strong and aware. All the shots are deflected by the goalie Blandine Bénézit, who put in a strong performance throughout the match, and this leads to a corner that is shut down swiftly. 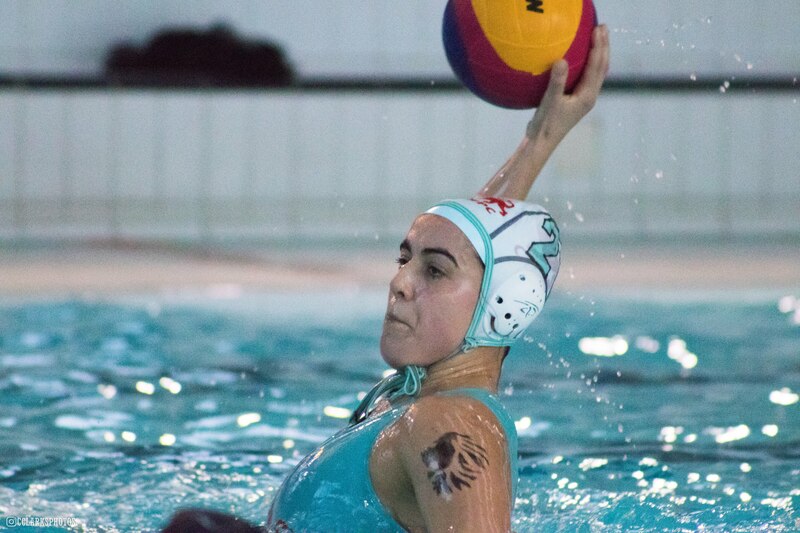 An energetic and rapid counter from Cambridge follows and after 5 minutes Captain Laura Schubert bangs the first goal of the match into the top right corner of the very tall shallow end goal. The next minute sees two exclusions for Oxford, with the first man-up for Cambridge played in practiced 4-2 formation but without goal. The second man-up, however, has Kate Read, as ever looking ridiculously calm every time she holds the ball, fake, and fake again, until the ball is released into the top left corner. The quarter ends Cambridge 2, Oxford 0 and a sentiment of “Yes- we’ve got this!”. 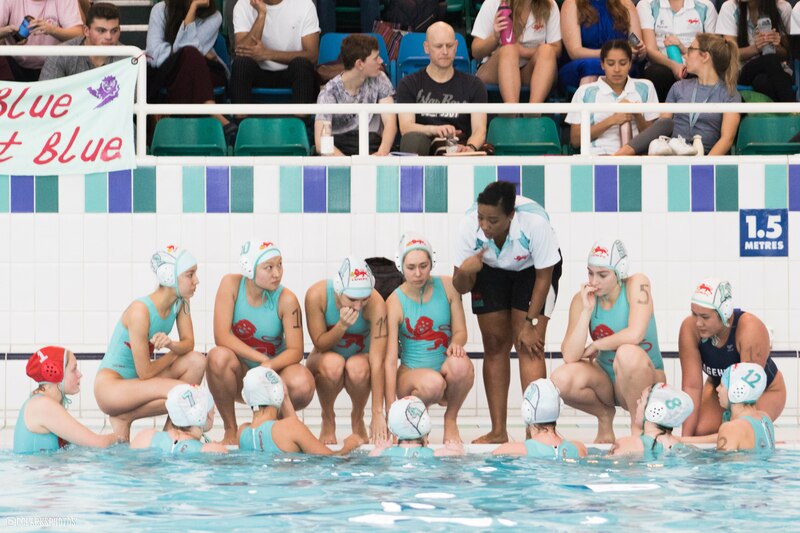 Oxford swap goalies ahead of the second quarter, and Cambridge looks to attack the deep end with fresh energy in the pool thanks to frequent substitutions directed by women’s coach, Ashley Bygraves. Laura Robinson is sent out in her first Varsity match for closing in on an Oxford player too soon after a foul. The man-down is handled well, with a secure defence, where it seemed to the spectators that Morgan was able to ‘push Oxford against the wall and all over the place’. Either those leg sets pay off or it may just have been easy to stand and push. It’s Cambridge’s attack, and the 30 seconds are nearly over when Schubert kicks away as she turns her defender, she shoots hard and the ball lands in the bottom left corner of the goal. A restart and again Cambridge steals the ball. 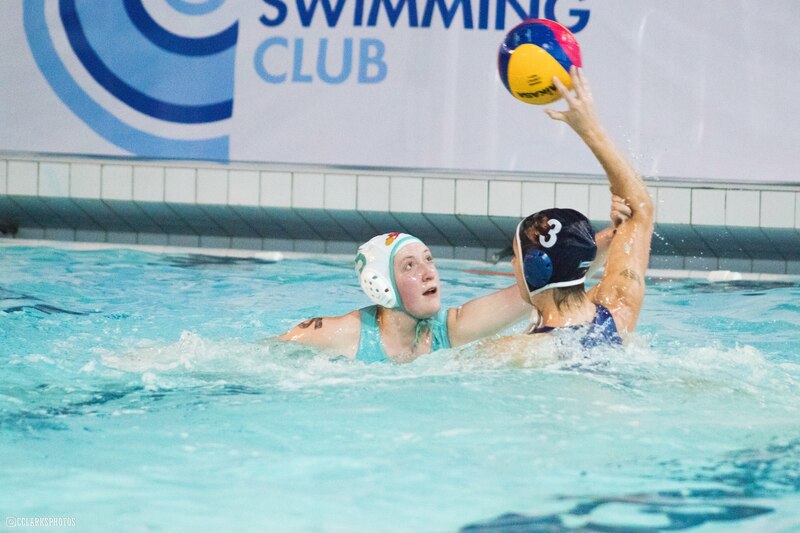 It is passed from newcomer Ailsa Kiely up to 2m on the right wing, where the team’s lefty, Sarah Flaherty waits in position. A classic move that has saved many a match, the shot from that left hand give Cambridge a lead of 4-0. The team sees more subs, and Ella Irwin sets up in pit, and when passed the ball tries a backhand twisting shot which narrowly misses. Oxford attack and Read in pit defence holds Oxford to account. But an exclusion for Read gives Oxford the man-up advantage, and their first goal falls. Just 30 seconds later foul words leave Read’s mouth, resulting in her second exclusion of the match. No harm done until Feng is sent out, and Bénézit is out to the test during the man-down defence. The ball hits the crossbar low, bounces down onto the back of her head and into the goal. Oxford’s second goal was a spectacle to watch. Under a minute to go, and Cambridge set up a neat attack. A clean pass from Feng to Schubert results in a flick shot into the right corner. Communication is key and at halftime Cambridge are are leading 5-2. Third quarter starts with the reassuring sound of the vuvuzela. Crowds cheer from the stands and one can be sure that the alumni have returned…at least this year there was no drum. Attacking the shallow again, Claudia narrowly loses the swim-off, but within 5 seconds Irwin steals the ball at half way and passes it forward to a sprinting Schubert at 4 meters. She doesn’t stop, and with the defenders on her back a push shot must do to secure Schubert’s fourth goal. After some confusion with substitutions, first 6 players then 8, Cambridge again bring in their newer players Lara Tritton, Ailsa Kiely and Becky Mackett who play their first varsity match with a cool head. But more confusion arose as Oxford scored shot, and despite it being a non-goal, the teams lined up for a restart, while the ball is still in play. 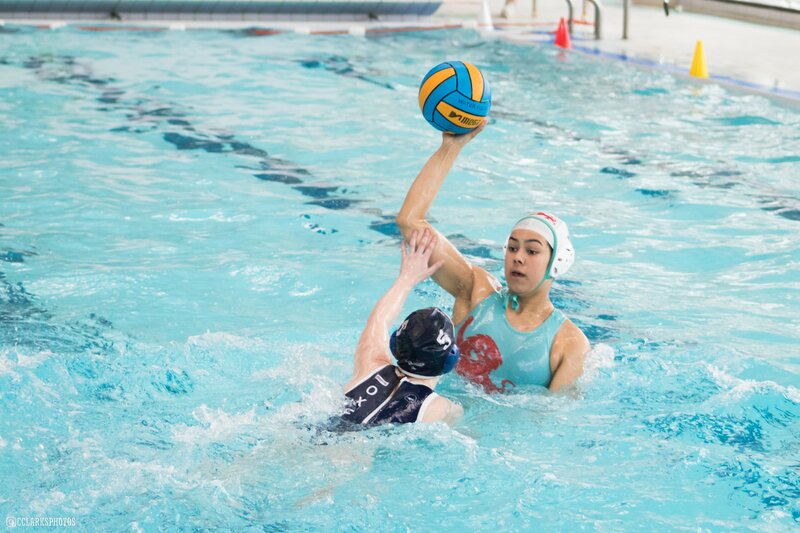 Defence in the deep end is held strong, with last year’s Captain Frances Turrell and Francesca Giordaniello keeping the ball away from the pit in this quarter. Attacking the shallow Oxford’s defence is strong, and so at 30 seconds Schubert dumps the ball in the corner for the second time that match. But too late- the gong has gone and she is excluded for wasting time. Oxford set up their man-up, and a strong shot from ex-Cambridge player Rosanna O’keefe is blocked by Flaherty. 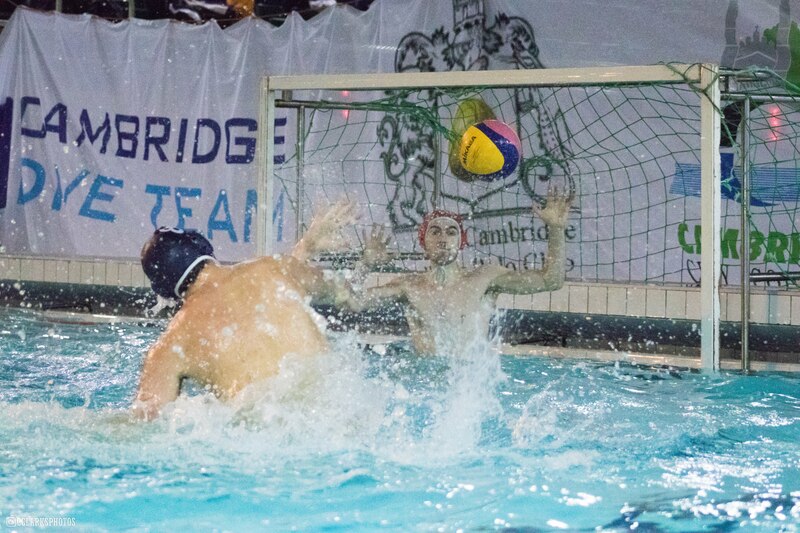 Only 30 seconds to go in the quarter, and Cambridge gain another man-up as an Oxford player is excluded for swimming over a Cambridge player. A pass from Schubert to Turrell to Flaherty on the right wing. No shot from there in the shallow, but with the top two pressed out, Flaherty passes back to Schubert on the right post and it’s another goal for Cambridge bringing it to 7-2. As the final quarter begins there is loud cheering to be heard, and Turrell has her family and colleagues holding a banner as big as a goal up to support. Oxford swap goalie again to no avail, and at one point there are two balls in the water, as the men’s team were already warming up for their match. 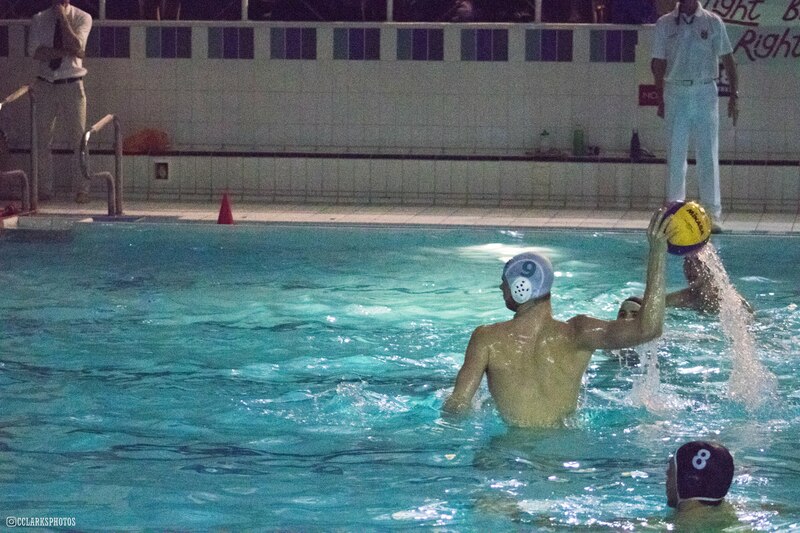 But this was not before an Oxford player was excluded again, with the man-up in the deep end leading to a deflected shot. Turrell takes the corner and passes to Read in pit who is positioned goal side and shoots but it is saved, resulting in another corner on the right wing. Turrel takes it again and Read shouts ‘they’re pressing – quick 1-2′ so Turrell passes and swiftly receives it back from a flick, shooting unmarked to secure Cambridge’s 8th goal. Substitutions result in a change in team for fresh energy, and as Oxford attack and wrestle for the ball with Bénézit, Read helps out with a casual grab of costume, leading to her third exclusion – she is wrapped. During the man-down Cambridge steal the ball, and Irwin sets up in pit in the deep. With a well timed pass from Morgan, Irwin shoots and lands the ball in the upper right corner giving Cambridge a 7 goal lead with 4 minutes to go. But Oxford don’t give up, and at 2 minutes left, they score their third goal. Cambridge also play full force, but the ball goes back and forth. With 10 seconds left, the ball is at half way, and Turrell on the left 7 m out. Time is running out: there’s a quick shout, a quick pass, and Turrell has the ball. 3 seconds. She see the goal and wants it. She goes for a lob shot, and miraculously the ball lands smoothly in the bottom right corner as the clock shows 0.01. The game ends there, 10-3, and the team cannot contain their joy and excitement at the beauty of that last goal. Turrell’s family go wild and she is ecstatic to have ended her fourth and final varsity in that way. Coach Ashley is pushed into the pool by assistant coach Emma Tarrant, and hugs and shouts follow. On the 26th of June, 8 Cambridge athletes travelled to Henley-on-Thames in preparation of one the biggest races on their sporting calendar. They were about to do what few other Cambridge student athletes have ever done before. Henley’s hallowed 2112m stretch of the River Thames, from Temple Island to the Leander Club, is no stranger to competitions. But it is less accustomed to ones quite like this. 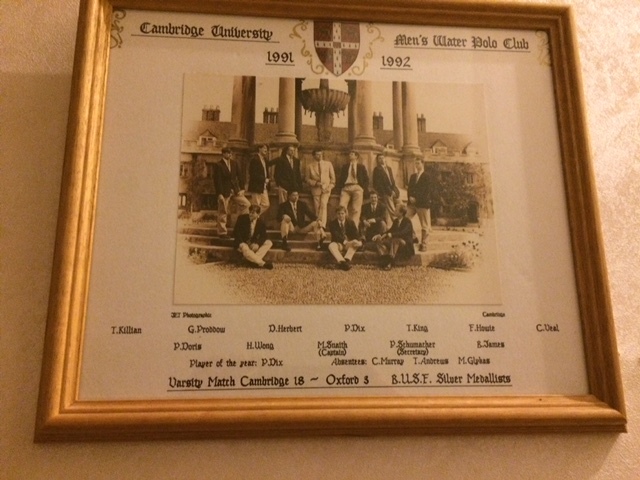 For not only was this an Oxf*rd vs Cambridge Varsity event but, unlike the rowers training on the river when the Cambridge team arrived, the Varsity teams would be competing in, not on, the water. That’s right. Welcome to the Varsity Swim. 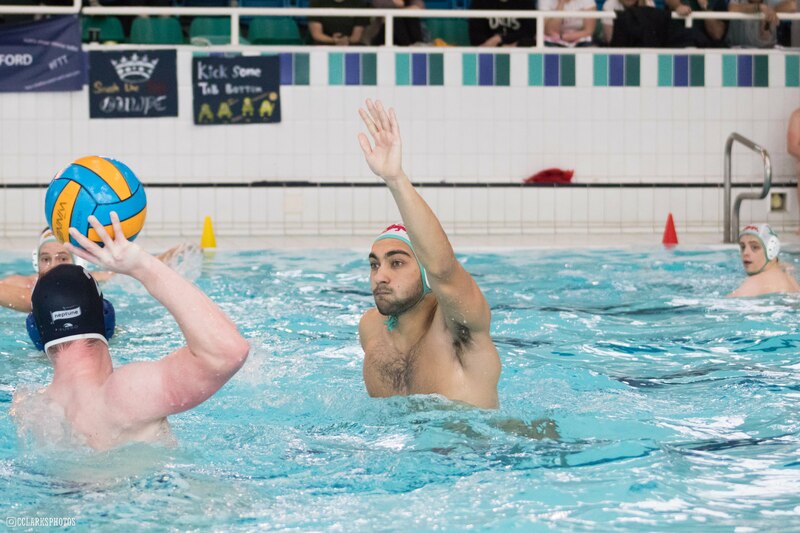 Cambridge University Swimming and Water Polo Club would like to invite you to our annual Varsity Match against the Other Place on Saturday 28th February 2015. 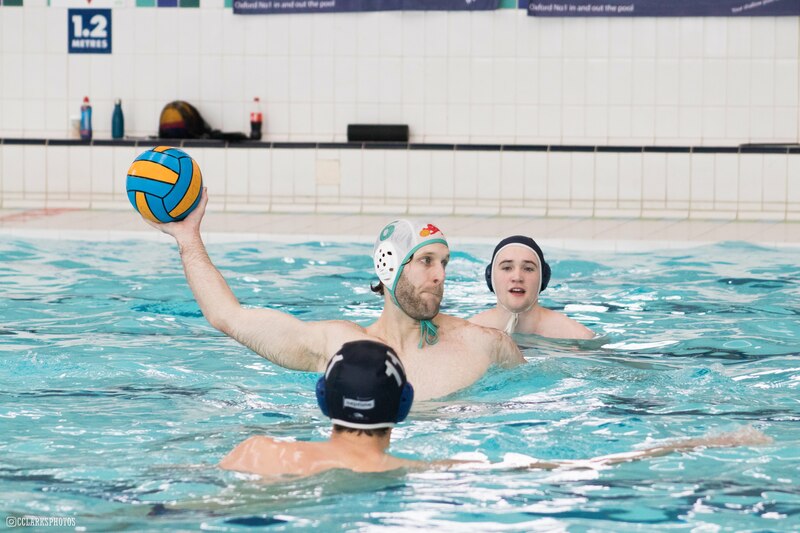 Head down to Parskside Pools, Cambridge (next to Parker’s Piece) to watch your favourite home teams battle for victory against the dark blues! Congratulations to the Channel Swim Team! 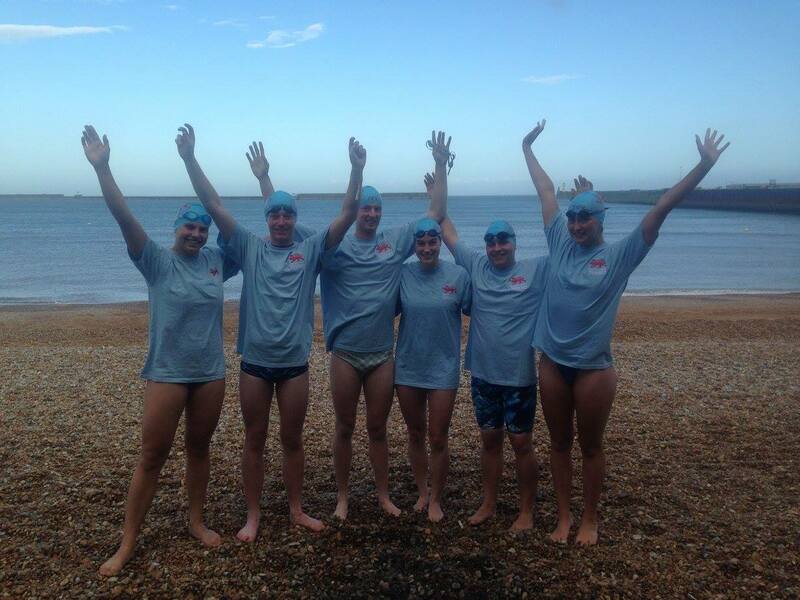 The Channel Swim team consisting of Erik Sullivan, Katie Davidson, Graeham Douglas, Emma Tarrant, Dan Brackenbury, and Jacqui Gilbert completed the crossing in 9 hours, ahead of the Oxford team (9hr 2min). 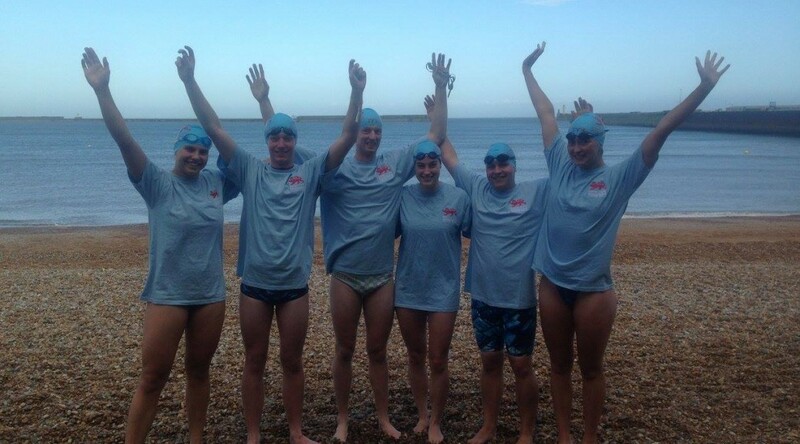 Unfortunately the time gap was not enough to declare a win for Cambridge; however, after the team had to pull out in 2012, this is a fantastic feat for Cambridge open-water swimming.